Select Size 10011: Cut-to-fit, 3/8"- 1 3/8" 10013: Pre-cut, 1" 10021: Cut-to-fit, 3/8"- 1 3/4" 10031: Cut-to-fit, 3/8"- 2 1/4"
The SenSura skin barrier has a double-layer technology comprised of adarker skin friendly contact layer and a lighter strong protection layer. 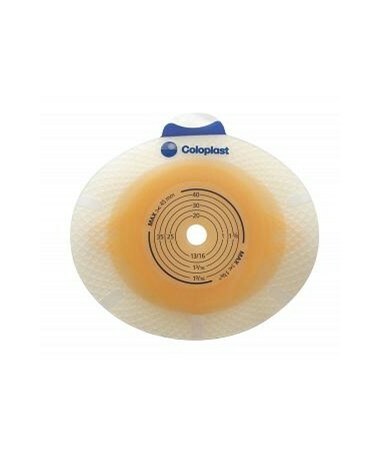 The strong protection layer protects the skin from leakages and prevents the adhesive from eroding away from contact with stoma output. The layer in contact with the skin absorbs sweat and moisture. This helps to keep the skin dry and healthy and reduces the risk of skin irritation. The barrier features flex patterns that make the adhesive more flexible, giving greater wearing comfort asthe barrierconforms to the body. The adhesive has a good tack and strong adhesion to the skin, providing security and confidence. 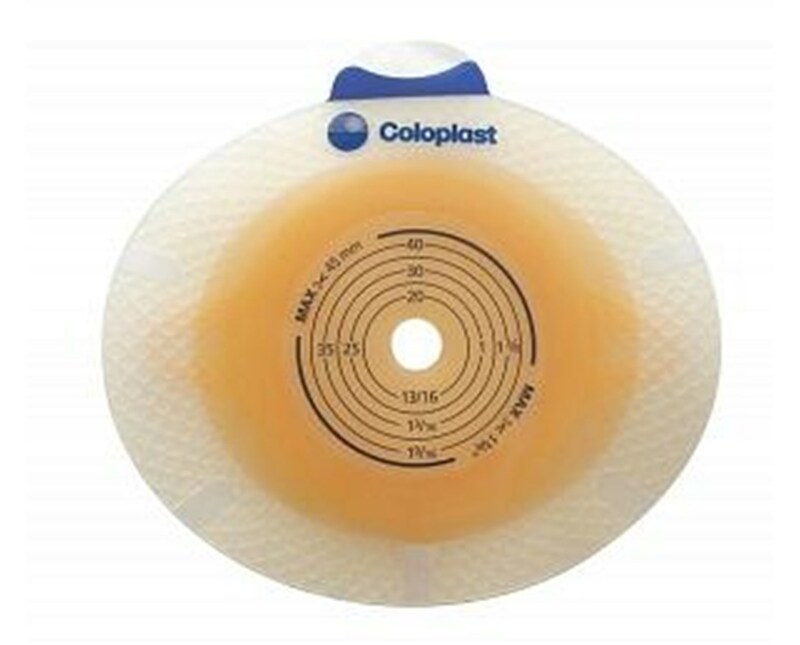 As the adhesive absorbs moisture, it will swell and seal around the stoma, offering further protection. It is easy and painless to remove the adhesive from the skin. It is formulated so that residues are not left behind when it is removed. The SenSura adhesive is available with SenSura 1-piece, SenSura Click and SenSura Flex appliances in a variety of sizes in pre-cut and cut-to-fit. Purchase the SenSura skin barrier online by selecting a size from the drop down above and pressing add to cart! Double-layer technology comprised of adarker skin friendly contact layer and a lighter strong protection layer. The strong protection layer protects the skin from leakages and prevents the adhesive from eroding away from contact with stoma output. The layer in contact with the skin absorbs sweat and moisture. Flex patterns that make the adhesive more flexible, giving greater wearing comfort asthe barrierconforms to your body.